According to Smithsonian, 2.4 million STEM jobs will go unfilled and according to IDTech, the demand for STEM is lacking not because there isn’t interest or understood importance of STEM, but because people just aren’t fit to fill such openings. But what if the gap isn’t due to a lack of qualified individuals but simply a sourcing problem? Enter Jumpstart — the world’s smartest recruiting platform benefiting both employers and students. Jumpstart uses machine learning to connect employers with top university level engineering talent from diverse backgrounds allowing them to find the right talent needed to fill their open roles. As we took a moment to review our goals and priorities for 2019, we identified several key areas to focus on — increasing student engagement, connecting with new employer partners, streamlining our product roadmap, and cutting edge user experience. The Jumpstart team has been working on this mission since 2017, led by Founder and CEO Ben Herman. Get to know our four newest members of the Jumpstart team who are helping to lead these efforts. Jumpstart is completely changing the University Recruiting space as we know it on both the student and recruiter side. With v3 coming out, I’m excited by all of the new opportunities we are creating for students to connect with recruiters by modernizing the recruiting process making it completely painless and more efficient on both ends. In my previous role as part of a 2 person University Recruiting team, Jumpstart allowed me to combine a majority of my time consuming tasks into one easy to use platform. I could quickly source candidates, link job postings directly to our ATS and have a central space to communicate with interested students. The amount of time it saved our team while still allowing us to scale at a ridiculously high rate was incredible. I think Jumpstart will revolutionize the university recruiting landscape. 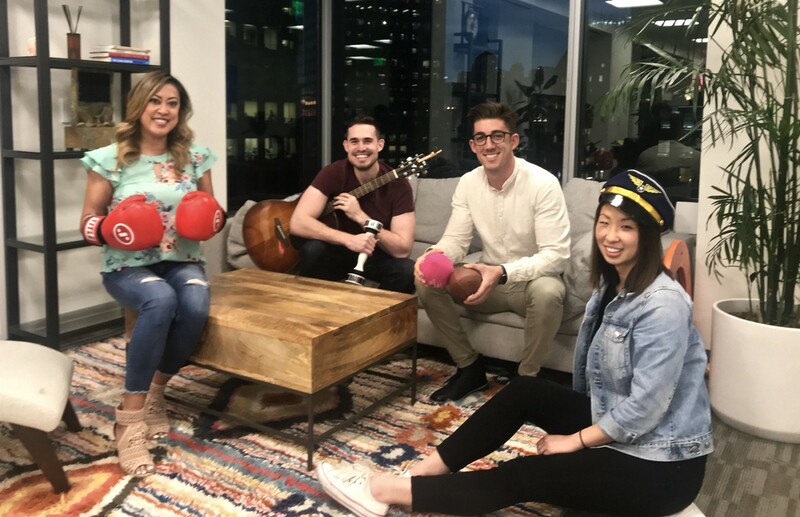 As a Jumpstart user, prior to joining the company, I had been waiting for a platform that could deliver top engineering talent while also offering product features that I could easily integrate into my overall university recruiting strategy. Not only could I source for the talent I needed amongst a curated pool of candidates via AI, I could further filter that group by school and graduation year and send a message about a session we were hosting on campus. For a two-person UR team kicking off their first annual fall on-campus recruiting tour, this made for efficient execution and of course helped with brand awareness resulting in offer accepts. The large unsolved problem in front of us, the unique expertise our team has to revolutionize the university recruiting experience, and the downstream implications are incredibly exciting to me. If and when we get this right, success for us means that students are more quickly placed into positions that they are more passionate about and will stay with longer. Not only is this an ideal business outcome for recruiters, but it reduces the anxiety and stress around recruiting that most all students are familiar with. As far as downstream effects, job satisfaction means that people are likely more productive and contributing their best work to their companies. Although those effects are a bit less tangible, the macro-level implications further excite and motivate me. In the tech industry (especially the Bay Area), we are surrounded by extremely decorated colleagues. The schools they went to, the internships they scored, the resumes they’ve built — are all beyond commendable. Of course, it took a lot of hard work and grit to get there. But, what about the people who don’t have the same opportunities? What about the students who didn’t yet know what they wanted to do for a living when they started college, became fantastic engineers (for example), but are not at a top school that funnels into top companies? What about the students who stayed closer to home because time with family was their priority? What about the students who couldn’t afford to go to college, but self-taught and became well-qualified for the job? Jumpstart’s goal is level the field, to eliminate bias, and to focus on diversity. I’m extremely excited to contribute to that mission — and to have a blast while working towards that with this amazing team.